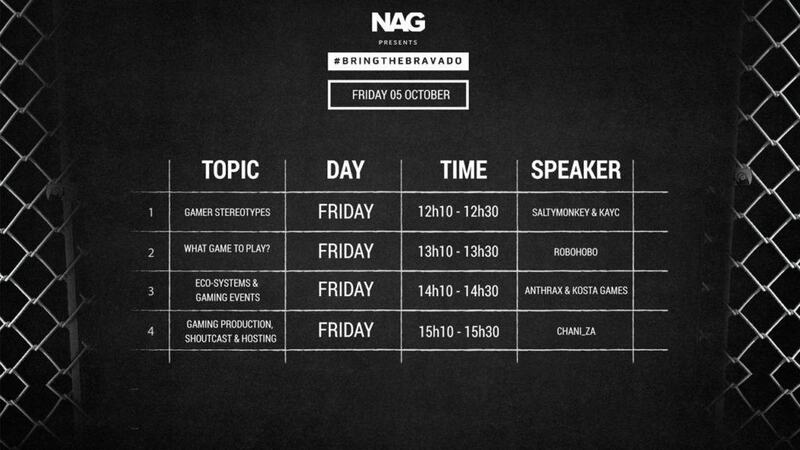 Bravado Gaming is one of Africa’s top multi-gaming esports organisations. The organisation currently consists of four active divisions and eighteen players across five locations. That is quite the mouthful, and possibly even a bit too much to chew on for anyone not entirely interested in esports. For those of you that are, however, we have some good news. 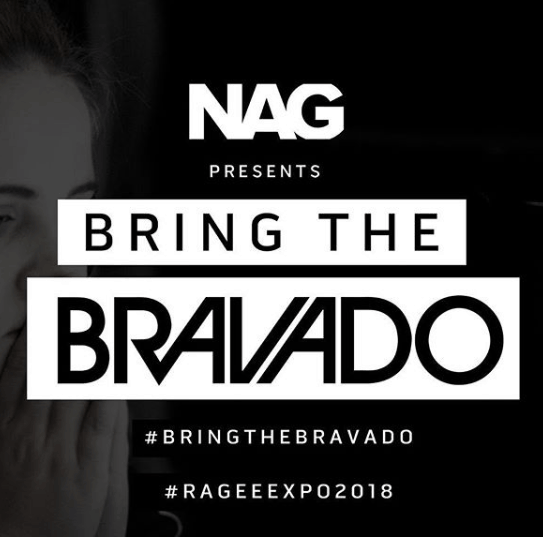 NAG and Bravado are joining forces to Bring the Bravado to rAge 2018, and it is all in the name of esports. The main goal is for fans to have fun, while capturing the interest of gamers who do not necessarily like esports. The organisations are planning to host “fun activities, do awesome giveaways, and host workshops”, all of which are presented by local gaming personalities and esports professionals. 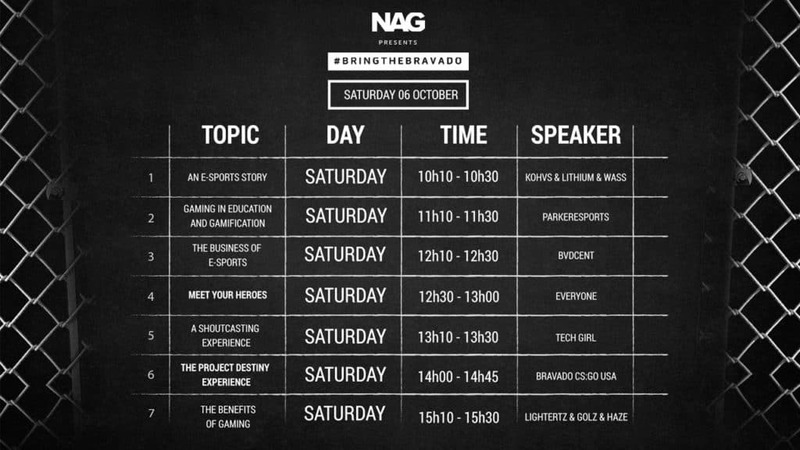 NAG says that the aim is to “Educate people on the ins and outs of the esports industry and promote the local scene”. The Bring the Bravado initiative welcomes anyone who has questions about the esports industry, or who may want to know how to get involved in the “many respective fields” within the gaming industry. 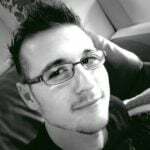 Bravado Gaming CEO, Andreas Hadjipaschali, says that the initiative is based on a call-to-action of being the best that you can be. He says that it should not matter how bad or good you are, and that it is “always about being able to give it your all”. 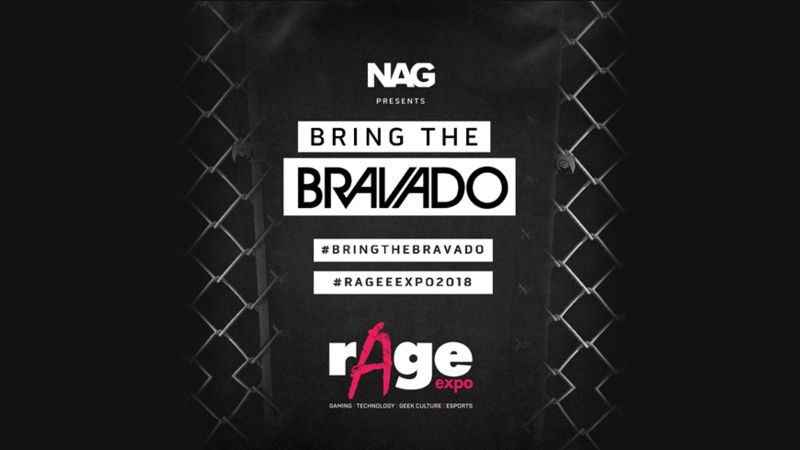 There are four planned activities for the Bravado Gaming stand during rAge 2018. The first will be Workshops, which will be presented by local influencers from different parts of the social and competitive market. Bravado states that each workshop is sanctioned into 20-minute slots, and that multiple topics will be covered. These include: Gaming Stereotypes, Gaming Production, Business of esports, International Shoutcasting, Playing it Safe, and more. A full list of scheduled workshops can be found in the images below. The second activity is a Selfie Give-Away. 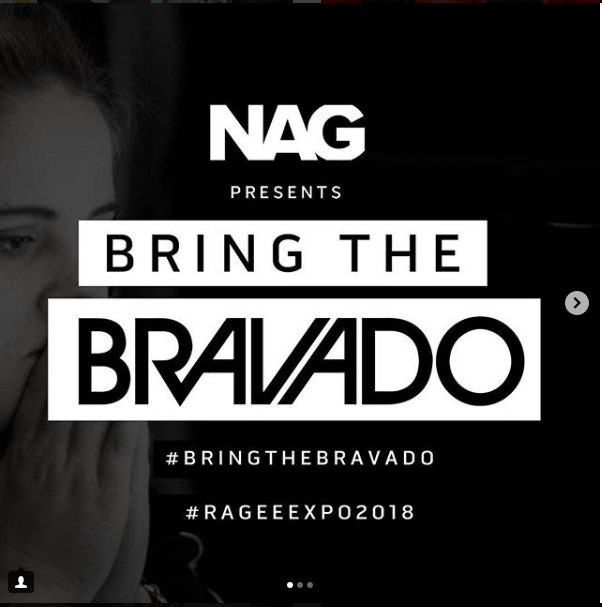 Those who attend the workshops or visit the stand will have a chance to win a cool prize after taking a selfie during the workshop, and tagging it with #BringTheBravado on social media. The third activity planned is a live stream to the United States of America, for an update on the Project Destiny Experience. 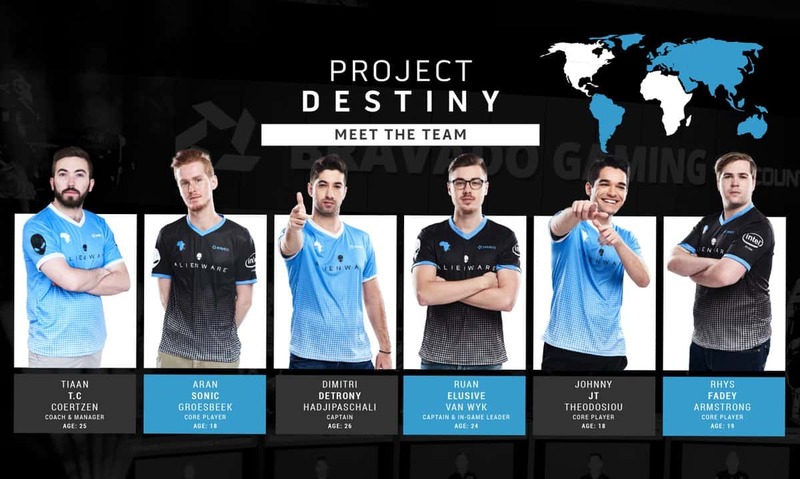 Project Destiny is Bravado Gaming’s plan to raise awareness of the talent and skill found among local gamers. It aims to bring investment and popularity to the esports community, as well as provide greater opportunities for all gamers in South Africa. The live stream will take place from around 2 PM on Saturday. 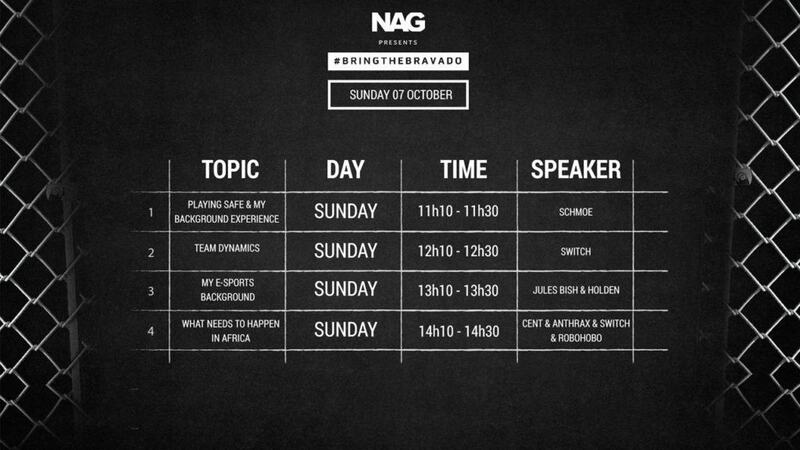 Finally, Bravado and NAG will also host a Meet Your Heroes event. This will include local industry heroes and workshop speakers joining fans and friends on the stand. The aim is to give stand visitors an opportunity to interact and meet, take photos of, and mingle with these industry heavy hitters. The Meet The Heroes event starts at around 12:30 PM on Saturday. rAge 2018 takes place on the weekend of 5 to 7 October 2018. If you are interested, you can pick up a day pass for R150, or a weekend pass for R300, and remember to Bring the Bravado when you do. Next articleCosplay for Breast Cancer Awareness at rAge 2018!